A 21-year-old man who died in a crash on the A614 has been named. 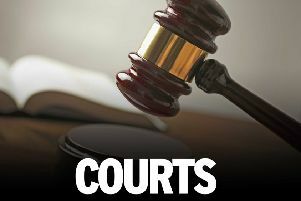 Alex Saxby was driving a Ford Fiesta when it was in collision with an articulated lorry in Blyth Road, Perlethorpe, at about 1.20am on Wednesday, 8th July. Mr Saxby, of Forest Town,sustained serious injuries and died at the scene. If you witnessed the collision or have any information which may assist, contact Nottinghamshire Police on 101 quoting incident 44 of 8 July, 2015.